The new way to learn through play! 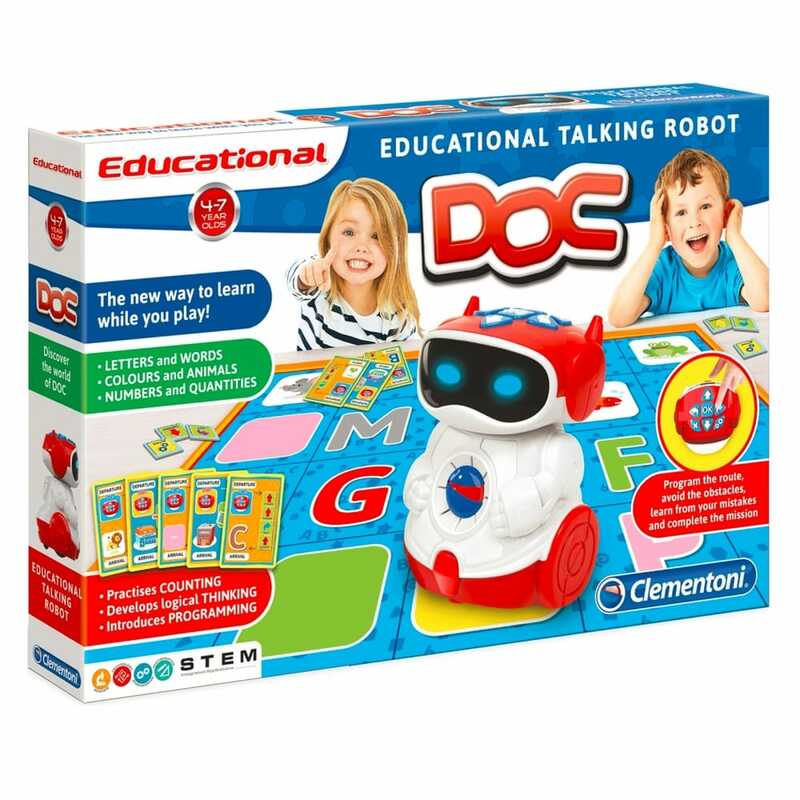 DOC, the interactive talking robot is the best for helping kids aged 4-7 to develop logical thought, boosting spatial intelligence and to introduce a child's first steps into the world of language. Game mat to collect objects while exploring the city! Test yourself with complex routes and obstacles.